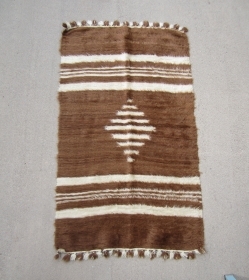 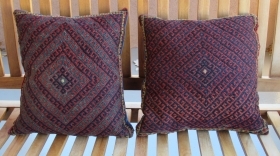 Based in Santa Fe ,New Mexico , I've been specializing in Kilims for over 30 years ; traveling to Turkey to personally select Antique Flat-weaves from Anatolia, the Balkans , the Caucasus , Persia and Central Asia . 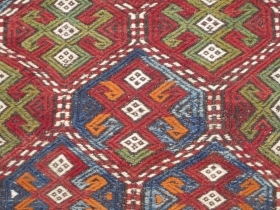 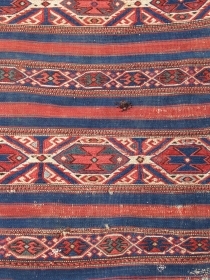 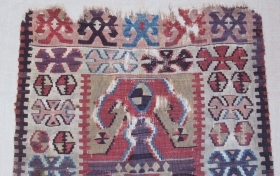 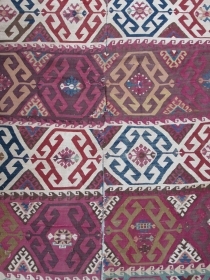 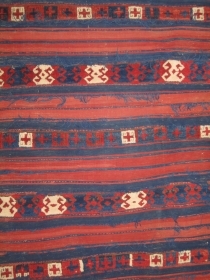 Northwest Anatolian cuval....Bergama-Balikesir area....c. 1875....22"x 39" (55cm x 100cm )...all wool / vegetal dyes....reciprocal brocading , sumac, cicim...quite good condition as shown. 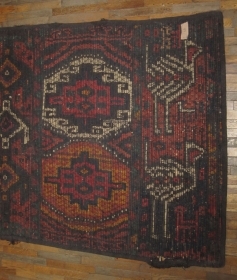 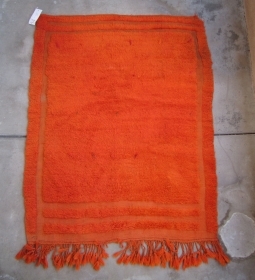 Northwest Anatolian cuval...Bergama-Balikesir area...late 19th C.....vegetal dyes...all wool...reciprocal brocading ,sumac,cicim ....2'x 3'4" (60 x 100cm )...good condition as found . 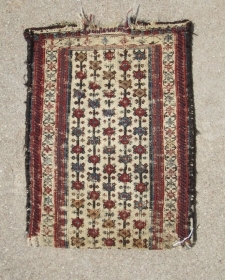 Persian jajim Coverlet......circa 1900....weft-float brocade....5'5" x 6'4" (160 x 190 cm ) wool with goat-hair surround...mostly vegetal dyes...good condition as shown. 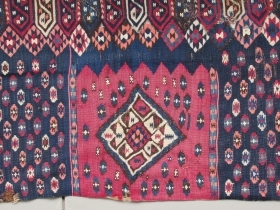 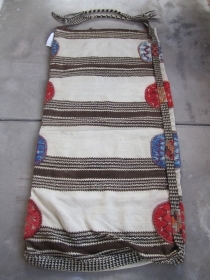 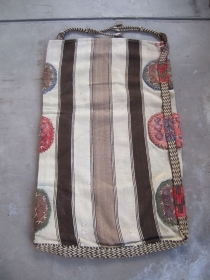 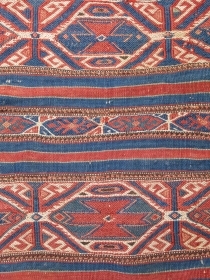 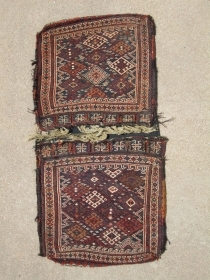 Central Anatolian Cuval ( flour sack )...Sivas ?.....circa 1850.....28" x 40" (70cm x 100cm )...condition as found and shown. 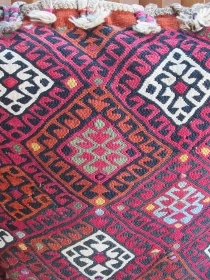 Syrian (?) 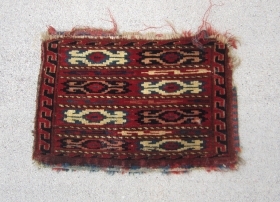 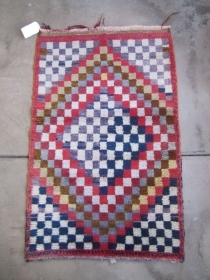 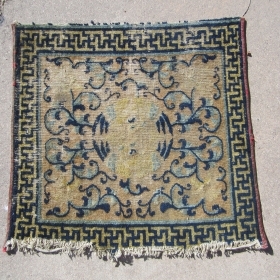 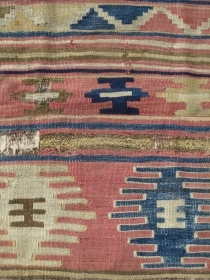 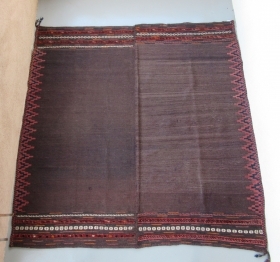 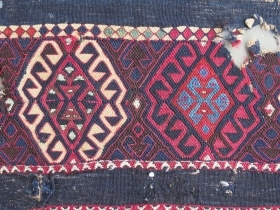 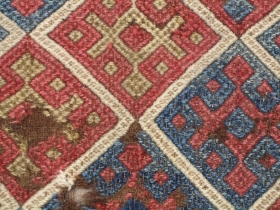 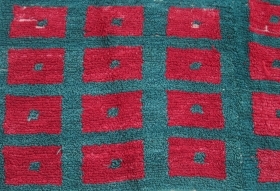 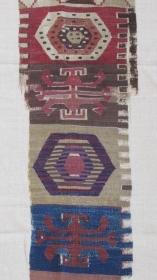 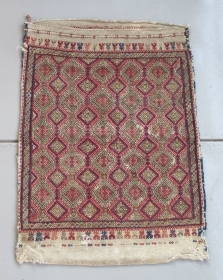 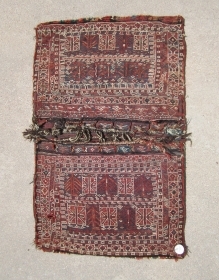 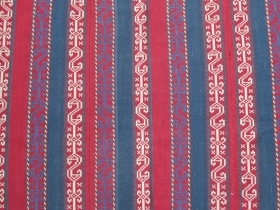 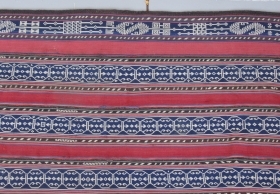 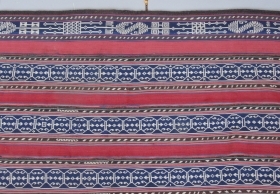 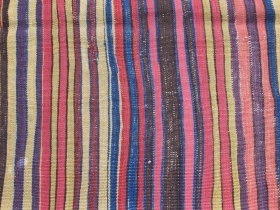 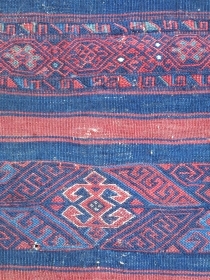 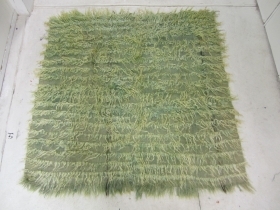 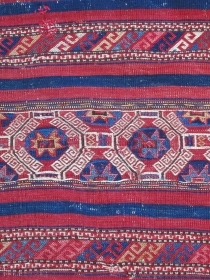 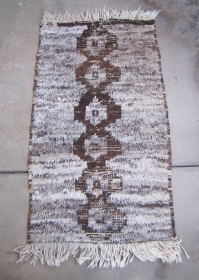 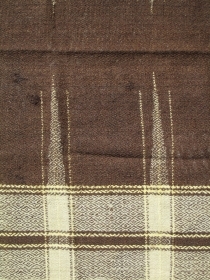 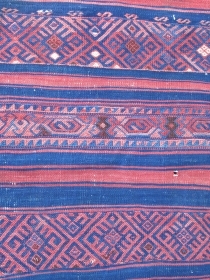 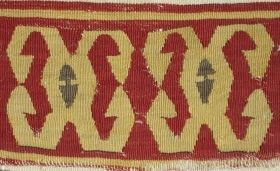 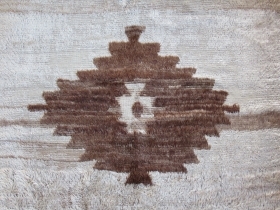 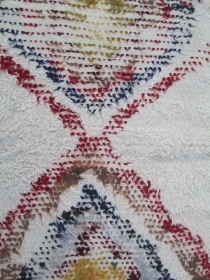 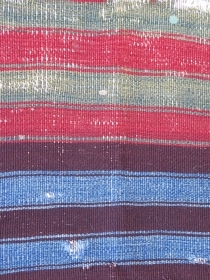 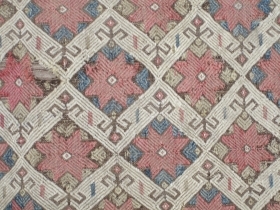 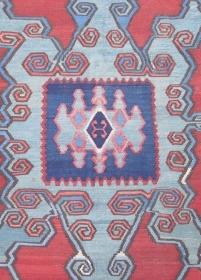 prayer rug ......19th century....very unusual diamond twill flatweaving technique....all wool...3' x 4'9" (92 x 145cm )...condition as found and shown. 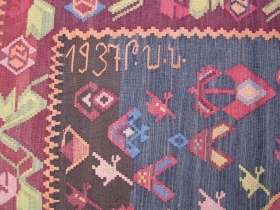 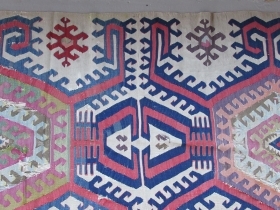 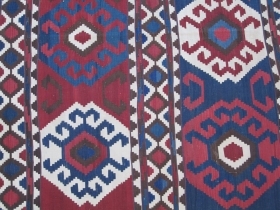 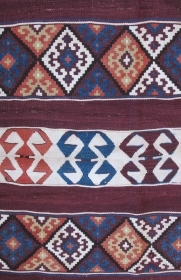 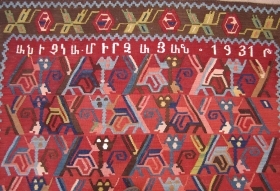 Armenian kilim...dated 1937....excellent condition....mostly aniline dyes..... 5'4" x 9'6" ( 162cm x 290cm )...wonderful abrash and artistic drawing as shown.